These metal hanging basket brackets are excellent value with easy access fixing holes. 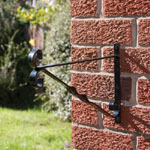 This hanging basket bracket is strong and will suit most hanging baskets. 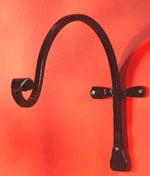 These hanging basket wall brackets are PVC coated with a decorative design. 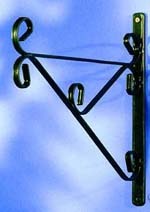 These iron hanging basket brackets are available in black or green. These metal hanging basket brackets are made from 3mm steel section and tested to 20kg in weight and have easys access fixing holes. This hanging basket bracket is strong and will suit most hanging baskets. These hanging basket wall brackets are PVC coated with a decorative design. 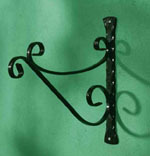 These iron hanging basket brackets are available in black, green and white. For Basket Size: 12" to 14" (30cm/35cm). For Basket Size: 14" to 16" (35cm/40cm). These metal hanging basket brackets are made from 4mm steel section and tested to 25kg in weight and have easys access fixing holes. This hanging basket bracket is strong and will suit most hanging baskets. These hanging basket wall brackets are PVC coated with a decorative design. These iron hanging basket brackets are available in black, green and white. These metal hanging basket brackets are made from 4mm steel section and tested to 25kg in weight and have easys access fixing holes. This hanging basket bracket is strong and will suit most hanging baskets. These hanging basket wall brackets are PVC coated with a decorative design. 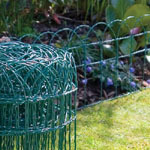 These iron hanging basket brackets are available in black and green. For Basket Size: 16" to 24" (40cm/60cm). These extra heavy duty metal hanging basket brackets are made from 4.5mm steel section and tested to 30kg in weight and have easys access fixing holes. This hanging basket bracket is strong and will suit most hanging baskets. These hanging basket wall brackets are PVC coated with a decorative design. For Basket Size: 12" to 16" (30cm/40cm). For Basket Size: 18" to 24" (45cm/60cm). These metal hanging basket brackets are super strong, made from heavy gauge steel. These brackets are made from 10mm round steel and tested to 35kg. 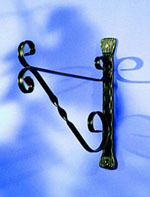 These hanging basket wall brackets are elegant curves and scrolls. These metal hanging basket brackets are super strong, made from heavy gauge steel. These brackets are made from 14mm flat steel and tested to 35kg. 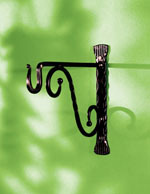 These hanging basket wall brackets are elegant curves and scrolls. These hanging basket bracket are manufactured from heavy-duty steel. These brackets are ideal for all hanging garden planters, iron hanging baskets, wicker hanging baskets, hanging flower baskets and rattan baskets. 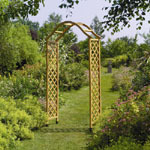 Decorative brackets features such as twisted bars and patterned back plates. These hanging hooks are easy access holes for fixing. 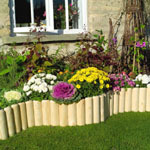 This hanging baskets brackets are made in Great Britain and are top quality product. Reduce your carbon footprint buy British.